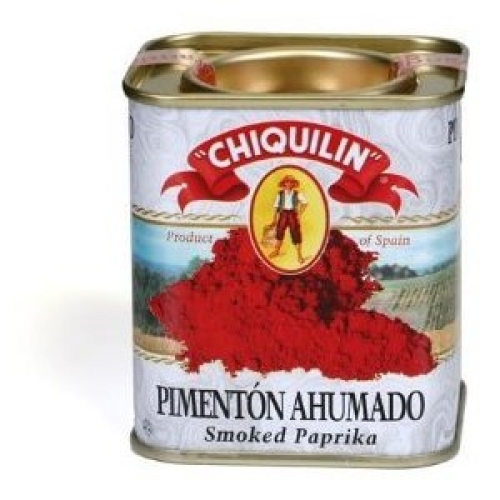 Lovely Spanish paprika to give a favor and color hit to your sauces, stews, relishes, soups, etc. Great in a Goulash or as an ingredient in a spice-rub. Available in smoked ( my favorite ), hot and mild. 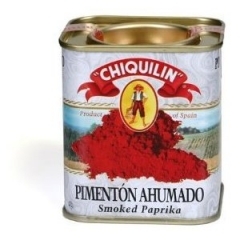 Pimenton Ahumado - Rich and complex with Smokey overtones, this paprika is the foundation for many Spanish dishes. 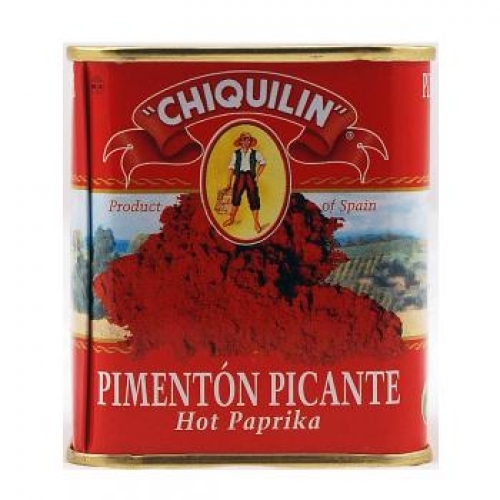 Use this paprika to develop rich flavors on meat and seafood dishes. This gourmet quality paprika is far superior to the bland Hungarian or Domestic varieties available at your local supermarket. The Fresh pods from the mild Nora Pepper are smoked over oak logs to develop the flavors. This technique brings out different aspects of the peppers complex flavor, thus we suggest trying out at least two different varieties in your cooking. Peppers smoked over an oak fire develop into a rich and complex palate which is much more powerful and pronounced than in sun-dried varieties. Sweet and Hot Varieties are best for sauces, vegetables, fish, eggs, and French Fries. While the Bittersweet and Smoked varieties work well for Paella, Fabada, beef, lamb or for use on the grill.